Remember when politics pretty much stopped around Thanksgiving, if not before? Giving everyone a much needed respite until the new year? Neither do I. 24/7 news channels and the Internet are an insatiable beast which needs to be fed. The rancor never stops, not even for the birth of Christ. When we do find a moment, as a culture, to reflect on this high holy day? 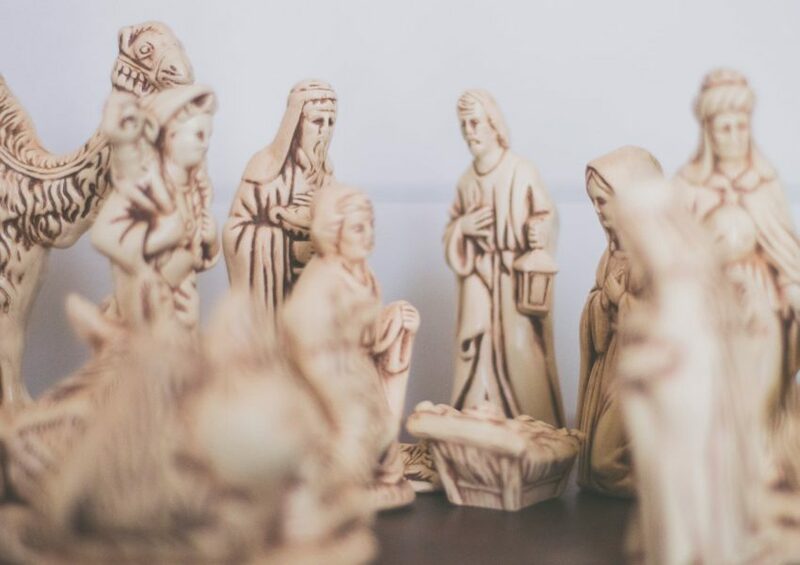 We soften spend so much time talking about the so-called “War on Christmas” (the negative) and its successor conflicts with the secularists that we forget to talk about why this foundational Christian holiday is so revolutionary (the positive). This is a common problem for today’s right-of-center coalition; we spend so much time on defense that we forgot that the best defense is still a good offense. And yes, I said revolutionary. Christmas is radical. Controversial. Confrontational. Most people in 2018 don’t associate Bing Crosby, tinsel, Coke-drinking polar bears, and chocolate-dipped candy canes with controversy or “danger,” that’s a given (though ‘Baby It’s Cold Outside‘ is definitely melting snowflakes left and right this season), but when you cut through the trappings of how modern man celebrates Christmas and re-focus on the actual origin story of Jesus then you’ll get it pretty quickly. The world around the beginning of the first millennia A.D. was a very different one to what any 21st century Westerners would recognize. Rome is ascendant; all earthy power is embodied in a human emperor and his retinue, and the rights and privileges of all human beings living within the emperor’s ever-expanding purview flow from the emperor. He is alpha and omega. Life at the center of the empire is relatively stable and prosperous by that age’s historical standards… for citizens. Meanwhile, on the distant Judean frontier of Roman authority, a baby is born to a working class couple in a culturally primitive, unstable, revolt-prone, relatively impoverished imperial backwater. Outside of the small Jewish community into which Jesus of Nazareth was born? The heavens aren’t a place where man looked for mercy or comfort or liberty (back to that in a moment) or boundless, unbridled, unconditional love. The gods (there were hundreds or thousands in total across multiple cultures encompassed by the empire) were more reflective of man than anything divine. They could be benign and benevolent, or they could be vindictive or even cruel, and they were almost always mercurial. You did what they wanted or you paid a price. Infertility, bad harvests, etc. and so on. Jesus would upend all of that. His movement would take the Jewish idea of a monotheistic, empowering deity world-wide. Of course he’s not just any baby: he’s the Son of God. And he didn’t arrive on our planet in the most humble of all circumstances to conquer, rule, or even implement a new political order. His empire would be spiritual. Of the mind and heart as much as the earth. His message, hinted at by his lowly start in life, was that our value has nothing to do with whoever the emperor might be or the gods that this emperor worshiped. Our value and our rights originate from and are rooted in our relationship with the living God… not an imperial, temporal order. Do you see it yet? It’s hard to miss, and “radical” doesn’t even begin to describe the wondrous transformation that this carpenter’s kid from an geopolitical hell hole brought to our planet. If an infant (who Joseph briefly suspected was born out-of-wedlock) entrusted to a young, poor couple seeking refuge in a stable could be worth everything? Then everyone — from the unborn and crippled to the most mighty and exalted — undeniably had worth, and the same entitlement to value. Dignity. Love. Every worthy political revolution since, in the old world and the news, traces it’s ideological origins to Bethlehem. During the American Revolutionary era? The pulpit was as formidable as the musket, as was also the case during the later-in-time battle for abolition and the still-more-recent fight for civil rights. If your rights flow from the God of Nature, as opposed to whomever or whatever is currently in charge, then they’re a lot harder to take away. Our Framers took this concept to heart when putting pen to paper. Christ’s message holds all accountable. Back to that ‘War of Christmas’ angle for a minute. Ever wonder why candy canes and Christmas carols threaten statists? Wonder no longer if you’ve read this post! Okay: I just distilled a TON of theology and history into a few paragraphs. Tomes have been written about this stuff. My intent isn’t to be a crude reductionist. What I would like to accomplish, in my own small way, is to help re-orient your vision this holiday season on the real joy of Christmas of which our narrow-minded, diseased culture (and the entertainment/media complex) can easily rob you if you permit it. Don’t permit it, Save Jerseyans. You don’t even need to be religious to understand the importance of what happened here, though a little faith never hurt anyone. Christmas is about more than commercialism, culture wars, and vague feel good slogans like “Joy” and “Love” which adorn over-priced piece of wood on the shelves and racks of pop-up holiday retail outlets. It’s the bedrock of who we are, as a people, and the best of what we believe about ourselves as human beings. We’re not alone; we’re the children of an incredible legacy, just like the Christ child. Before that nativity scene 2,000 years ago? The world was a much darker, uglier place. None of the progress we’ve made — or the potential for greater things for man in the years to come — would be possible without that revolutionary child swaddled in a manger. Never, ever let them make your forget it.